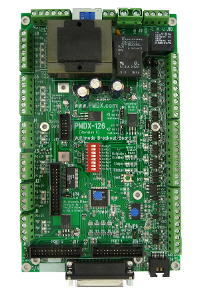 an affiliate of Practical Micro Design, Inc.
Products for CNC and motion control applications since 1998. Design, manufacturing, and support based in the USA. We save you money with our $9.00 flat rate Priority Mail shipping for most domestic orders. We encourage users who need technical information to contact us using our forum. This will help build a knowledge base and benefit other users who may have the same questions. If you need to contact us privately by email, please use the link below. Please note that the email address of individuals at PMDX may have changed if you obtained them before the year 2009. Use the link above to assure correct delivery. We would appreciate it if you would put PMDX and a few keywords related to your inquiry somewhere in the subject line to make your E-mail easier to find in the future, and to stand out from the increasing amount of SPAM that we receive. Please note: E-mail is the recommended method of contact as it does not rely on catching a particular person in the office and automatically provides a reliable record of your query and a method of responding to the correct party. It also allows you to include information such as links to the manuals for other products that you are connecting to our boards. We realize that some questions are too complicated for email or lead to long discussions, so we do offer support on the phone. Technically knowledgeable personnel are not always available to answer questions when you call, so please leave a message if you need to talk to technical support and no one is currently available. Recommended calling times are 9AM to 6PM for the Eastern USA time zone. 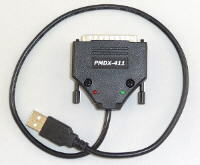 703-372-2975 - Voice phone for support of PMDX products. or photos to it as they will not be received. Most of our competitors no longer offer telephone support. While this is regrettable, please be considerate of our time and do not expect us to support another vendor's product unless it is being used together with a PMDX product. 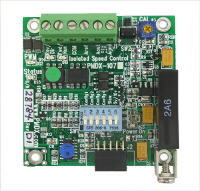 We do support Mach products when purchased from us even when not used with PMDX products, but this support relates only to the Mach product itself, not to plug-in installation and custom configuration of another vendor's product. Please note that our offices are not a retail store and we request that if you want to visit, that you call us in advance to be sure that the people or items that you want to see are on hand. About this web site - privacy etc. Practical Micro Design, Inc. will not provide your name, e-mail address, or other information to third parties except as required to complete a financial transaction, arrange for shipping, or to comply with the requirements of law enforcement requests or court orders. We may periodically notify you by e-mail of new products or special offers from PMDX. You may request at any time that we remove your e-mail address from our mailings. This site does not utilize cookies, web bugs, or other tracking devices to record site visits. We do use scripts and cookies to implement on-line order processing and for links to send e-mail to us. About PMDX and Practical Micro Design, Inc.
PMDX is part of Practical Micro Design, Inc., a Virginia corporation established in 1984. PMDX exists to sell and service standard, off-the-shelf, products. Practical Micro Design, Inc. is a design and production company serving OEM customers of customized data communications and embedded control systems. Customized design and production of CNC related items is available to OEM customers. Steve Stallings, the president of Practical Micro Design, takes an active interest in metalworking and CNC tools. As a result Practical Micro Design provides support for the CAMS-Club.org web site and meeting space for the CAMS-CNC special interest group. Copyright 2004-2019 Practical Micro Design, Inc.